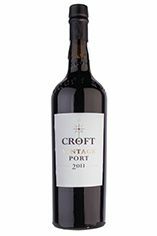 Croft has to be one of the most distinguished names in the Port industry. Founded over 300 years ago by a Yorkshireman, John Croft, who was one of the intrepid band of merchants to export wines to a British market unable to buy from Napoleonic France due to war. 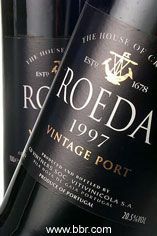 The firm’s activity dates back to 1588 which was also the first year of the first ever recorded shipments of Port wine. 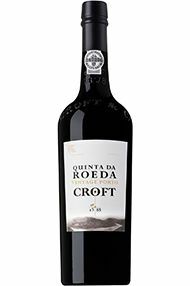 John Croft published his treatise on the Wines of Portugal in 1788 which subsequently placed the Croft family at the forefront of the British community based in Oporto. This treatise gives a valuable insight into the early days of the Port Wine Trade. The vineyard draws its character from new Port making technologies as well as maintaining it’s commitment to traditional foot treading for its vintage Port wines, producing full and fruity Port. One of the most outstandingly beautiful quintas in the Douro Valley, Roêda perches elegantly amidst the rugged terraces of the Cima Corgo.This single estate 1997 is one of the revelations of the vintage, immensely powerful and tightly-knit with a core of rich black fruits. Sturdy and a little restrained at the moment, this wine is sure to blossom over the medium-to-long term. Drink 2010-2025. The aromas soar elegantly from the glass, brilliantly ripe and sweet blackcurrant, peppered strawberries, with an interestingly fresh apricot underneath. Freshness continues on the palate, lovely focus. Plum and delicate spicy herbal notes, lavender, chocolate, concentrated and ripe fruit, strawberry jam, silky texture to this, and good grip too. Purplish crimson. Tarry nose. Very fresh impact on the front palate – very sweet and gorgeous. Where are the tannins? Answer: only on the very end of the palate, and then they are very fine. This is nice wine, I’m just not sure it’ll last that long. Clean and refreshing. The Fladgate Partnership’s new acquisition and the first time Croft has been foot trodden for 40 years. Quinta da Roêda is a beautiful terraced vineyard which skirts the Douro just up-stream from Pinhão. 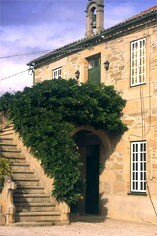 Once described as the ‘diamond set’ in the golden ring that is Portugal, its reputation has been triumphantly restored by the Fladgate Partnership. 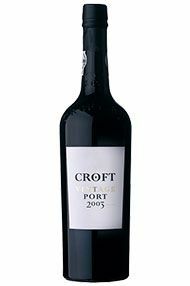 The Croft wines of the 40s and 50s (1945 and 1955 for example) are the stuff of legend. Maybe 2011 is to join their ranks. Early indications are good, with the famous Croft opulence evidenced beyond the scents of blossom and forest floor. The wine has more structural integrity than its immediate forebears, with a mid-palate honesty and harmony that is very promising indeed. The 2011 Croft does not disappoint. Afresh and vibrant nose of black raspberry and blueberry sits alongside a beautifully alluring perfume of violets. The palate is full, yet elegant and refined, with great balance and just the right amount of sweet pepper spice on the long length.